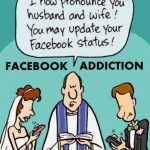 People who are addicted to facebook would race to check their news feeds every second, posting pictures of their dinners and lunches and tells everyone what a wonderful life they have via updates. It creates anxiety and stress. I realized that whatever man pursues in life he takes it to the next level of destruction. He falls off the edge and buries his happiness. 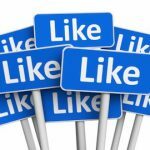 People worry if what they have posted is not liked by people and what will my friends think and will I become unpopular etc. People get depressed looking at the ‘likes’ for stupid postings. I spoke to few who live their lives through the facebook; found them to be addicted and frustrated. There is a sense of loss, deprivation, and loneliness although they are supposed to be connecting with the world. One is not aware of how to handle facebook. What is the use of posting quotes of others when it has not made any impact on you? People get carried away by fake videos, online petitions, sensational clippings that are posted to get more ‘likes’ and no one has the ability to check out the substance of the postings. On the positive note, it is nice to see happy pictures and feeling on top of the world that motivates people however fake it might be; we are not against any media connections but there are easy ways to handle it without frustration. Don’t stay with friends who keep complaining about life. Facebook presents a reality that is not real. Do not stress over missing something in your life. People do post photos of exotic holidays, cocktails, large plates of food, but you never get to see the angry outbursts at their partner, depression or the bad side of them. Your news feed should be inspiring to others and one has to have self gratification. When you feel like running to facebook, try and look at your garden and be with nature. When you feel pangs of jealousy at someone else s posting; introspect and see what is nagging you. Facebook is your creation; you have to take charge. Ask yourself ‘am I progressing in my life in any way?’ before you reach out to facebook– the answer will be ‘no’. Use facebook as a point of connecting with people who add value to your life.